GRASP, Harvard Catalyst’s popular multi-year initiative that supports K awardees in the transition to research independence, has helped hundreds of investigators acquire grant funding. 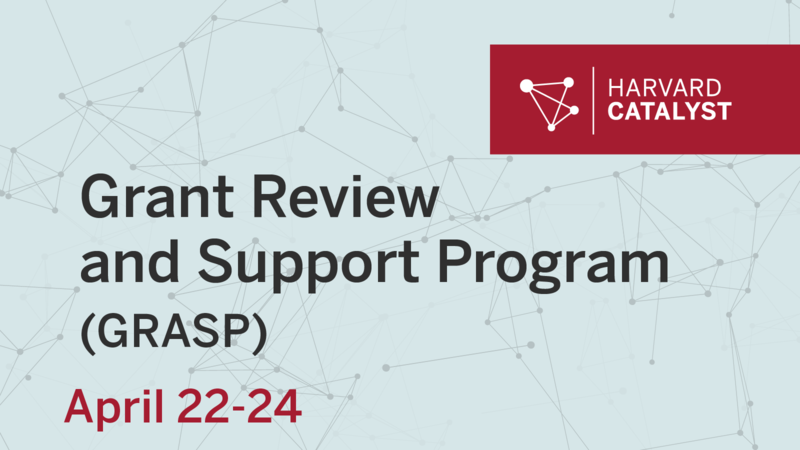 After an initial workshop, participants receive ongoing support and guidance from the GRASP team in preparing their grants throughout the duration of their career development grant. Armed with the knowledge and tools provided by GRASP, participants are better prepared to establish independent research careers, funded by a variety of different grants. Investigators in the first year of a 4- or 5-year NIH K grant (such as a K23, K08, K07, K01, or K25) or equivalent career development award from a grant-funding organization (such as the American Cancer Society, American Heart Association, or U.S. Department of Veteran Affairs).